Ms. Qin Xianglian took care of her poor family single-handily and never expected that her husband was determined to abandon her and their children after his social status changed. In this act Qin broke into the palace to reason with her husband. 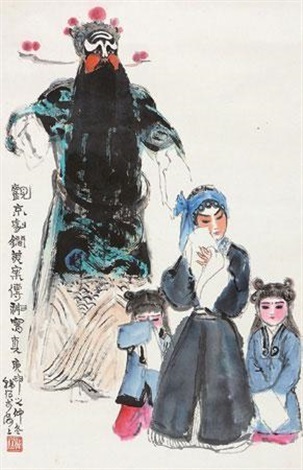 The classic is a typical work of Zhang performing style in Beijing Opera’s repertoire. Please do not separate your children from their parents.